Hey everyone! How was your week? Our last day of school was Wednesday and I have really been enjoying the start of summer break. It is much needed and all of us teachers deserve it! My nails are a bit on the short side - I had so many poor broken nails after packing up my classroom. Hopefully they grow back quick so I can do some fun nail art! 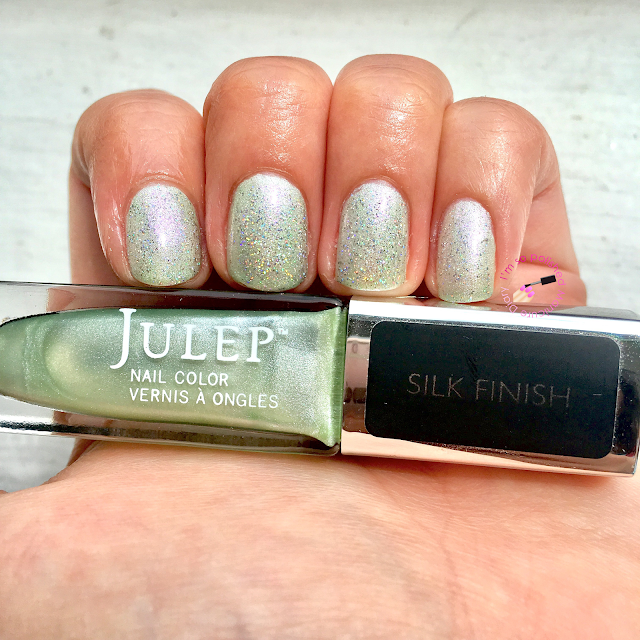 For now I'm wearing Julep Shannon, a pretty light green that's almost like a honeydew color. 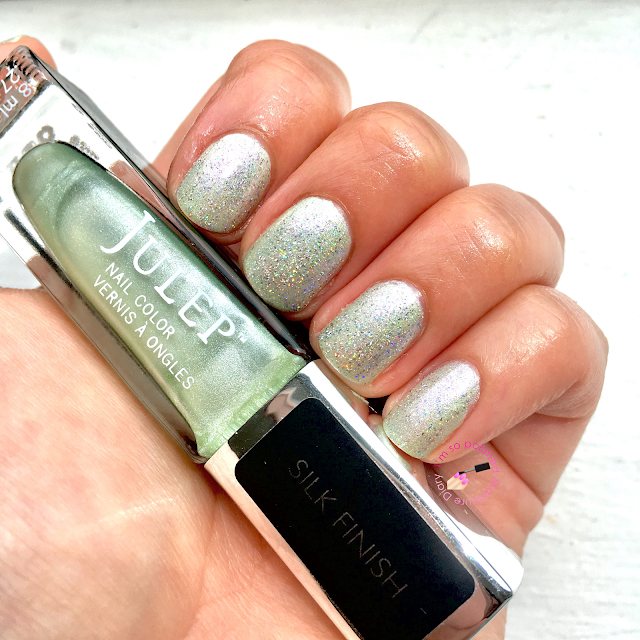 It's a silk finish, but I like to wear it with top coat. 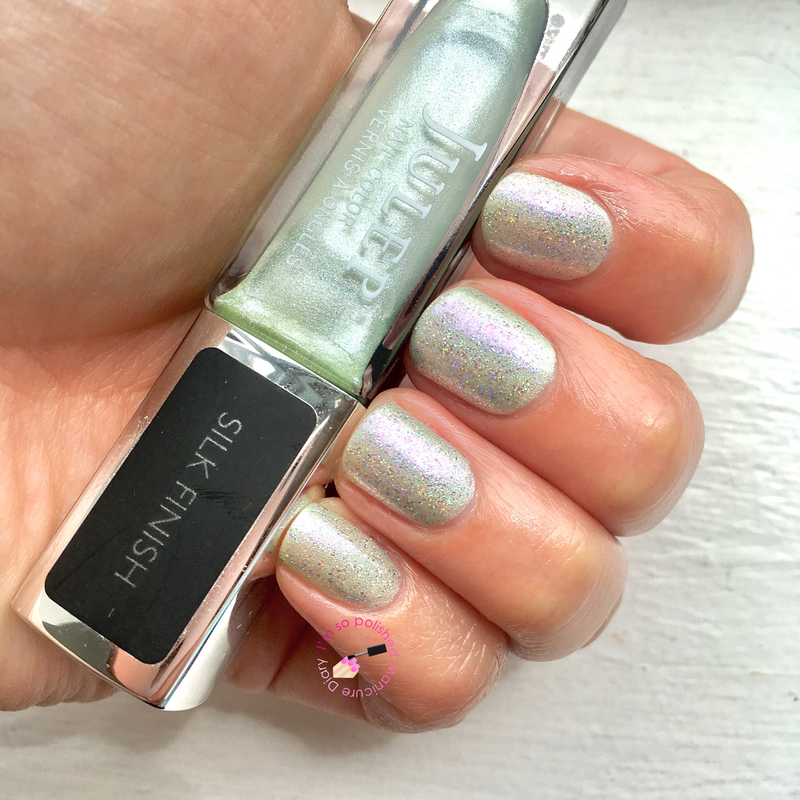 I had a feeling this would look good with ILNP Chit Chat on top and I was right! Such a pretty combination that looks perfect in sunlight.